Home News Think of used car programmes as new car programmes. Think of used car programmes as new car programmes. 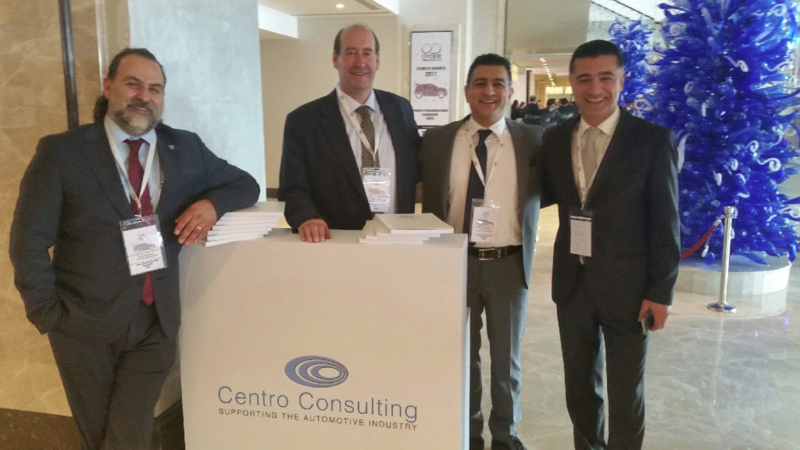 Centro Consulting delivers keynote speech at Oyder conference in Turkey. We were delighted to participate at the OYDER 2017 conference in Istanbul. Representing the franchised dealers in Turkey, the OYDER Association gathers national and international speakers at its annual congress to discuss the Automotive Industry’s future. Addressing over 500 delegates Centro Consulting M.D. Mike Smith delivered his views on “The Changing Face of Used Car Retailing.” Key topics included the creation of a “Virtuous circle that delivers stronger residual values” and that “When margins are under pressure that the Used Car business should be placed Up Front and Centre” of a dealer business growth plan. Centro Consuting M.D. Mike Smith with the Oyder President Mr Alp. Left to Right: Taylan, Mike, Kafkas and Mete. CENTRO CONSULTING BACKS ANOTHER WINNING TEAM!